This was my first season coaching football. I learned a lot. I also came to love the game far more than I ever expected I would. This little story is one reason why. The Dedham E-team is made up of seven- and eight-year-olds as well as the "older, lighter" nine-year- -olds (an 8-year-old can weigh 90 pounds and still stay at E; a 9-year-old has to be under 75). A kid that we will call "Martin" was one of the smallest 7-year-olds on the team. He was a little shy, a little nervous, and not yet very physically developed. He was always one of the last two runners in from a lap, and he often would excuse himself to get water, ask his parents about something, go to the rest room, get his equipment fixed. I don't know if he was playing because his parents were forcing him to (I don't think so) or because once he had signed up they weren't letting him quit (more likely). Part way into our season we had a game against South Boston on their home field. For some reason, the veterans on the team were talking up Southie, telling the rookies how tough they were, how mean they played, how they had a tree growing in the end zone of their field that you could run into and kill yourself (that part is true), how the parents and spectators always went crazy. "Martin" seemed to take this talk very seriously. When he arrived at Southie, tears were streaming down his face and his father had to force him onto the field. He was absolutely terrified, and he kept sobbing "I don't want to play. I don't want to play." Arthur was one of the senior assistant coaches on the team. To give you an idea of how much Arthur knows about football: his first year coaching Pop Warner was the year I was born. Arthur saw Martin crying, walked over to him, and didn't try to talk him onto the field. Instead, he picked up a football. "Hey, Martin, play catch with me," he said, and began tossing the ball back and forth. Arthur is at least 6' 6" and 250 pounds. He is a retired police officer. He has a very deep voice and a commanding presence. But he just kept tossing the ball back and forth with Martin, slowly edging him out onto the field by stepping away, so that Martin had to follow him in order to play catch. When they were in the middle of the field, near where the team was warming up, some of Martin's teammates saw him and called out "Hey, Martin! We need you over here for cals." Martin looked up at Arthur. "You know, Martin," Arthur said. "I threw up before every single football game I played until I got to high school. I was that nervous." Pause. "I'll bet you didn't throw up today, did you?" "You want to go warm up with your friends?" Martin nodded. And he did. And he got through the game without incident and was smiling from ear to ear when we ended up winning in a blow-out. A few weeks later, we were playing Ashland, a team that was absolutely enormous. They had 12 nine-year-olds, compared to our 6, and they towered over us. But things went well, and we were tied in the last two minutes of the 4th quarter with the ball on the 50 yard line. Coach Paul, our offensive coordinator, is Arthur's nephew and has been coaching for 20 years. He is a football genius, able not only to teach a bunch of little kids the full high-school play book, but to read a situation and know exactly what play our team could pull off against the particular opponents on the field. "The one thing that has to happen in this play," he said, "is that the Left End has got to hold the block for more than a full second. Otherwise the Quarterback is getting hit before he can throw. Who is Left End on the black offense?" "Martin!" various kids called out. Paul did a bit of a double-take, because, remember, Martin is tiny and these Ashland kids were huge. "Martin," he said. "You've had a great game. The guy you're blocking is really tall. If you want, I can put Mitch in your spot and you can play his position. Do you want me to move you?" You could see Martin swallow hard. And then he said, in his high-pitched, little boy's voice: "I can do it, Coach." And the team started chanting "Mar-tin! Mar-tin! Mar-tin!" When the kids ran out onto the field and got themselves lined up, I turned to Paul and said, "Well, no matter what else happens, it's now a successful season." He nodded. (It doesn't matter than the QB fumbled the snap, Martin never had to block anybody, and the game ended in a tie). From that day forward Martin was a different kid. He laughed and goofed around, he no longer came in last when we were running laps, he hit the tackling sled like he actually wanted to move it. He's still tiny, but when I see him at basketball he's playing with a smile on his face and jumping for rebounds and taking shots. And he told Mitchell that he can't wait for football next year. That's why I have come to love football so much: the game creates opportunities for kids to be heroes to their teammates and heroes to themselves--not necessarily because of their athletic prowess, but just because they've tried to do something difficult. Great coaches, like Arthur, Paul and our head coach, Jay, work to help every kid succeed and put that kind of achievement ahead of wins or stats or promoting their own children. They may not know it, but they are teachers (which probably explains why I enjoyed being around them). The very best traditional philologists, people like Lapidge and Gretsch, can collect widely scattered shards of information and piece together enough to get a view of a little piece of lost culture. But scholars like this are rare, and their very brilliance shows how much the scholarly world has had to change because the great philologists of past generations have worked out the mine. 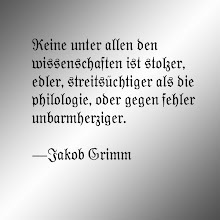 Back in the Age of Grimm, scholars like Kemble and Grundtvig could casually pick the best nuggets right from the tunnel floor, the dust of diamonds on their shoes. And although the next generation might have needed picks and shovels, Thorpe, Müllenoff, Sweet and Köhler and still found riches. There was still high-grade ore for Sweet, Sarrazin, Sievers and Skeat, but the lode was beginning to be depleted, so Olrick, Panzer, Chambers and their contemporaries had to be miners rather than prospectors, following the dwindling veins deeper and deeper below the surface. In the post-war period scholars were reduced to panning for glistening flecks, and by the 1980s the field was reduced to mechanically processing vast piles of low-grade ore in hopes of eventually extracting a small amount of metal from the overburden. To push the metaphor perhaps further than I should: The introduction of lexomic techniques allows us to find riches even in the tailings piles of previous generations. What was for them un-useable is for us, with new knowledge and technology, a new source of wealth.